Looking for some great Orlando family vacation resorts? We've listed the top ones (especially for a family) to make your vacation great. 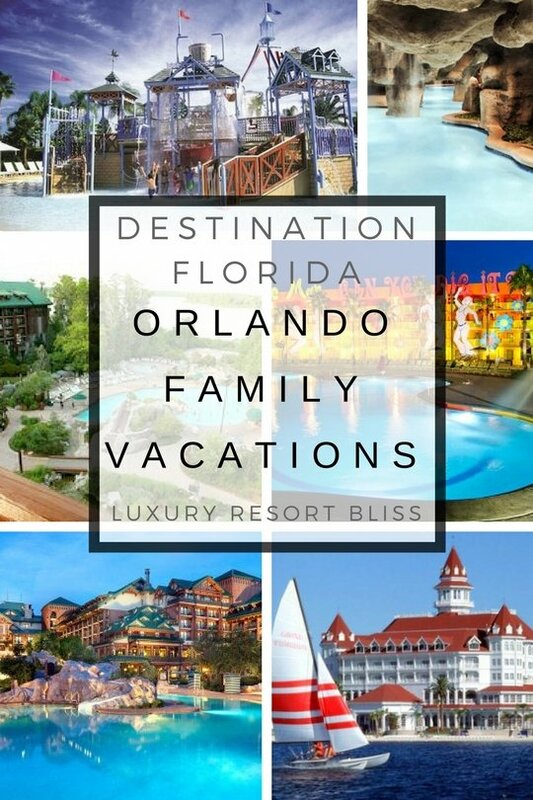 These are the best resorts for families beginning on this page and then continuing on our Orlando Vacation Resorts page. We also have reviewed Orlando Luxury Resorts and Florida All Inclusive Deals. See the best time to visit Orlando to avoid the crowds and get a good deal. 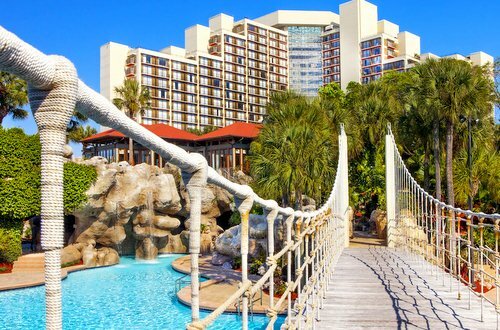 Get special offers on these resorts on Top 25 Resort Orlando Resort Deals with Packages Available on TA. Location: 1,500-acre resort in Orlando. Next to Epcot and Walt Disney World Resorts with a complimentary shuttle to Disney, Wet 'n Wild and SeaWorld. 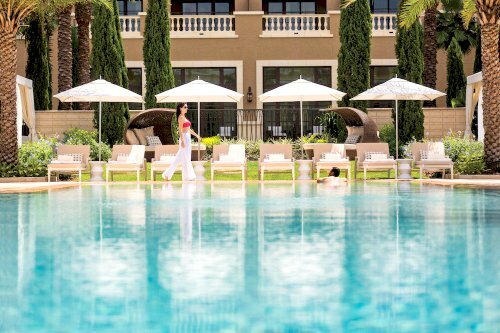 Amenities: 7 restaurants and lounges, poolside drinks, 24-hour business center with secretarial support services, office supplies, private lake, golf academy, 4 Jack Nicklaus designed golf courses, nature trails, sandy beaches, canoeing and sailing. There is also a half-acre lagoon pool with 12 waterfalls and three spa tubs, health club, 11 lighted tennis courts, racquetball, basketball, health club with equestrian center, a salon and beauty services. Camp Hyatt is for kids ages five to 12 and offers water and beach activities plus events such as decorating cookies, watching movies and exploring the paths surrounding the resort. Rooms: 750 with private balcony, wireless High Speed Internet, ceiling fans. A Regency Club with concierge service and a private lounge offering breakfast and evening cocktails is also an option. Reviews: I've worked at a Hyatt resort very similar to this for many years and was continually impressed by the wide variety of services. I was pleased to see the guests were exceptionally complimentary. They reported high satisfaction - especially those with families. Overall, a clean resort with lovely grounds. While there is the occasional rebuke about the price, many more report this is among the best resorts they have ever stayed in. Location: on the premises of Universal Studios Orlando. Close to Wet 'n Wild and has complimentary resort transportation via water taxis and shuttle buses. 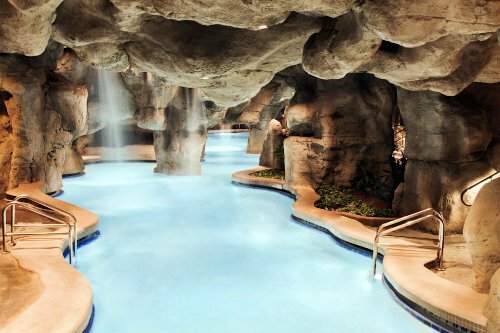 Amenities: Rock memorabilia, a big heated pool with a sandy beach, 240-foot slide and 12 underwater sound speakers, workout room, golf program, kids activities at Camp Lil' Rock, movies under the stars, restaurants. Rock and roll cocktail party on most Thursdays has included Joan Jett, Foreigner and The Go-Go's. Rooms: include 32-inch, flat-screen televisions, high-speed Internet access for a fee and CD players. The Hard Rock Club Lounge has complimentary breakfasts, evening hors d'oeuvres and an extensive music library. Reviews: Guests enjoyed having the express pass to universal, the amazing pools with drinks service - where the kids were able to spend the whole day. A definite vacation atmosphere for kids and teenagers. Location: In the Magic Kingdom area. Amenities: Room Service, concierge desk, health club babysitting and child services, convenient self-parking, valet parking available for a nominal fee, pool and two spas and Bay Lake Beach. watercraft rentals, fishing, bike rentals, horse-drawn excursions and more. The children's club for 4-12 has computer games, Disney movies, dinner and snacks in an environment created just for them. Rooms: Club Concierge-level: there are robes, continental breakfast, snacks and evening wine and cheese reception and the Wildlife Discovery Excursion. Regular rooms start from about $220. 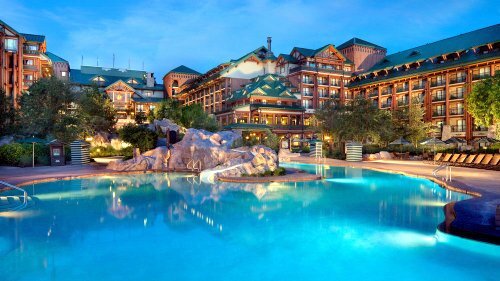 Reviews: Easily the most popular of the Disney resorts with guests that have stayed here. Actually amongst the highest rating of any resort in Orlando. Friendly staff & concierge and boat & bike rentals were appreciated for their entertainment value. The bus and shuttle services were efficient. Location: In the Disney's Wide World of Sports Complex area, close to Animal Kingdom. Amenities: Computer Pool, the '60s-hippy pool, the bowling pool, kiddie pool, arcade, food court, playground, in-Room pizza delivery, concierge desk, babysitting, Internet. Rooms: Standard Guest Rooms can house a maximum 2-4. These rooms can be a bit easier on the budget. Reviews: A rare resort in that it gets very good reviews and has rooms available for about $100. You would expect the family with young children or teenagers to rate this hotel very well and they do. The pizza is good and the choice of three pools is a blast. Having the kids enthralled by the enchanting Disney mystic was a big advantage. Our second Disney hotel of choice. 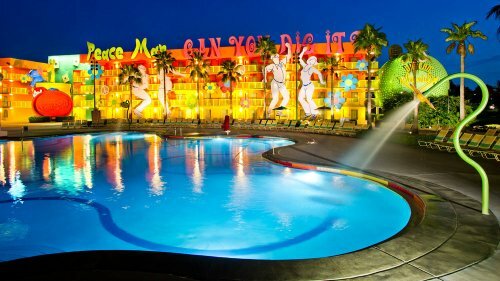 Get more information on Disney's Pop Century Resort. 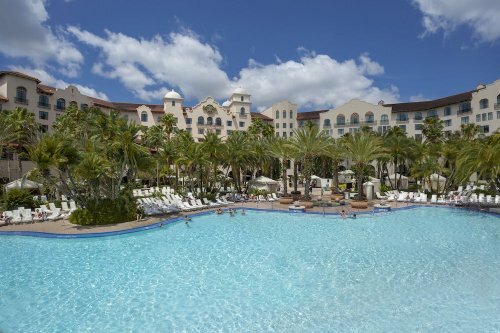 You may also like to check out the top luxury resorts in Orlando Florida. Looking for an Orlando Beach resort? They you may like to check out Cocoa Beach Resort. The closest beach to Orlando. Cocoa Beach is a great place to get away with your family for a great vacation. Check out these deals which make that task a little easier. See also top Cocoa Beach Florida vacation home rentals and Florida inclusive vacation packages. Many of these resort and hotel deals offer excellent oceanfront vacations close to attractions and the pier. This video offers some insight into Cocoa Beach, where you can see dolphins at play or enjoy watching the whales on their annual migration.